In part of a presentation highlighting the company’s strongest performers, Sonic Runners is ranked as a failure. The game generates a little between ¥30 million [$256,563 USD] to ¥50 million [$427,588 USD] a month. It should come as little surprise to anyone following industry news that the mobile market is a veritable shark tank, fighting with many others for a limited pool of money and attention spans. 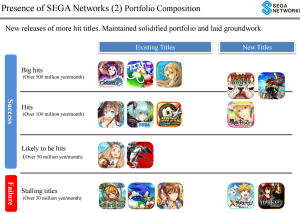 SEGA is part of those never ending digital meat grinding, and is touting their successes in the market. Sonic Runners isn’t so fortunate. These numbers appear under the Domestic Market section, likely indicating they are Japan specific, but the fact Runners fails to even show up in the Overseas section doesn’t bode well. In fact, the game is no longer available for download on the U.S. Google Play Store and hasn’t been since Nov. 2015. This shouldn’t come as a shock given the negative reception that surrounded Runners. Since officially going global Summer 2015, the game was constantly criticized for performance issues, glitches, and microtransaction practices that for all intents and purposes amount to under-aged gambling for new characters. If anything, it was a fine endless runner at its core drowned by countless terrible design decisions. Most of these came to a head with the recent 2.0 update that added death walls to runs, offered more performance issues and overheating devices, and did little to improve the character unlock structure to make it less like a gamble. One thing to note though is Sonic Dash 2 (referred to as Sonic Dash Boom and Sonic Dash 2: Sonic Boom) is expected to meet continued successes overseas with pushes to continue expanding its market presence. If you’re enrolling in RAGE, our Really Amateur Games Expo, you’ve got until Jan. 22 at 11:59 p.m. CST to produce a game of some sort based on this year’s theme: Sonic Boom. It doesn’t have to be a full scale game so much as a 5-10 minute long demo or an older game (think Space Invaders or Breakout for example) and it doesn’t necessarily have to be good, just technically sound (read: no crashes, memory leaks, or texture failures.) If anything, have fun with it and maybe it can expand to a bigger (and better) game down the road. Continuing the tradition of Monday Links not on Mondays, it’s my turn to steal the glory from Tim! With 2015 coming to a merciful end, we can look forward to a few exciting things in 2016: a Cubs team that may finally put an end to that dang curse, a bunch of movies and sequels, Nintendo doing something with the NX, and most importantly, heavily criticizing the brand direction of a certain blue hedgehog. He turns 25, you know. No rental car agency can stop him now. In case you’ve not noticed, it’s a Tuesday. Besides it being M. Bison’s favorite day of the week, this is a particularly special Tuesday: it’s Sonic 2sday. Sonic 2 was released on this day 23 years ago. Fairly exciting stuff considering all that it packed after the Blue Blur’s first outing. 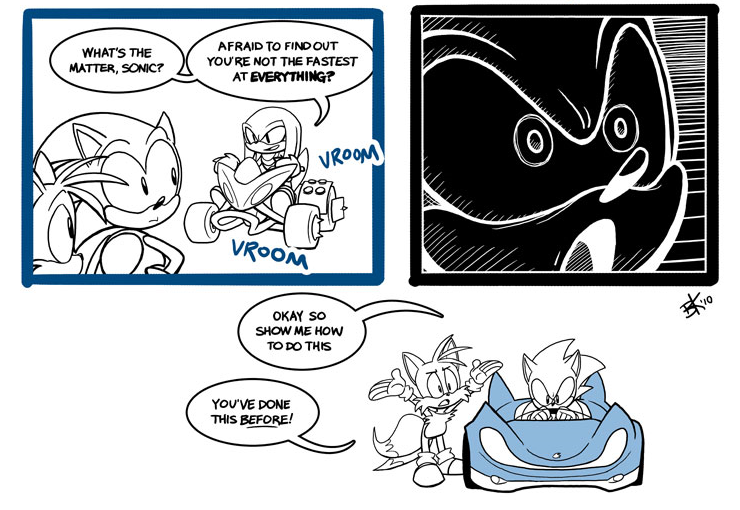 It even brought along perennial buddy and the sometimes annoying Miles “Tails” Prower. Five years ago, we hosted our first Sonic 2sday Challenge. The premise is simple enough: you attempt to destroy the arduous task of Nick Arcade Expert’s Challenge of collecting 25 rings in under 30 seconds. I mean, ’90s tv sitcom star Melissa Joan Hart couldn’t! Surely a ragtag group of Sonic fans could. The catch? 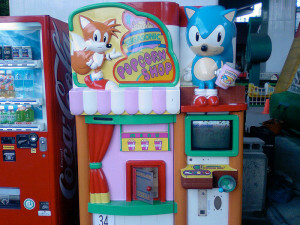 You must use the existing Sonic 2 Nick Arcade prototype. Still not enough challenge for you? Then for those seeking to REALLY show off how awesome they are, feel free to submit your own challenges, such as the dreaded Emerald Hill Sweep (getting all seven emeralds in Emerald Hill) using both Sonic and Tails. Or use the mobile version of Sonic 2 and go for the gold as the fastest speed demon of Hidden Palace Zone. After all, Hidden Palace and Sonic 2 started this lovely mess that became Sonic Retro. Short of piracy, YouTube channels, or paying some exuberant amount of money for what might be a bootleg, not every soundtrack is easily accessible. SEGA in the past has eased this and offering fans a way to actually support the musicians on iTunes and Amazon Music. Joining those two fronts now is Spotify, which in the past few days has seen quite a handful of soundtracks hit the freemium service. 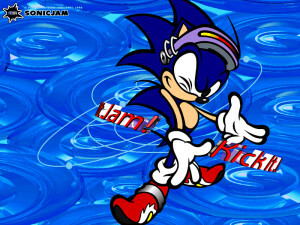 If there is one thing this lovely splintered faction of fans can agree on, it is that the Sonic Series is nine times out of ten loaded with some great music. And why wouldn’t it? The folks at SEGA Sound Team are pretty great at their jobs and have some fun, like referencing the original Phantasy Star games in Phantasy Star Online tracks. Almost every recent (within the last 10 years) set is available right now for your perusal. Sadly, some of these are not complete sets (Shadow’s OST alone is missing a handful of tracks), and regional blocks may forbid some tracks from even playing in your part of the world. That can’t be helped, unfortunately. The nice thing about Spotify is it’s available for free and makes a handy playlist generator for work. Though to get the most of the program, a monthly subscription is available and unlocks additional features on mobile devices.